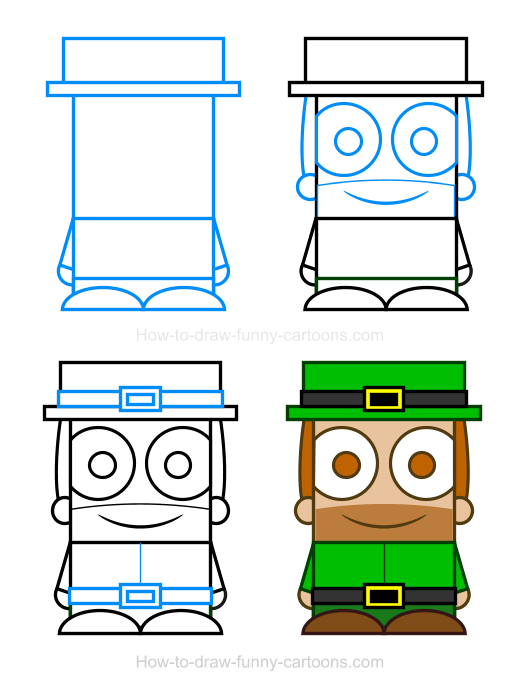 Learn how to draw an Irish clipart featuring a fun character filled with simple details and lots of ... green colors! Yes, in this basic tutorial, I will show you how to illustrate this fun character using mostly simple elements like rectangles, circles and lines. Nothing complicated, nothing that you cannot create. 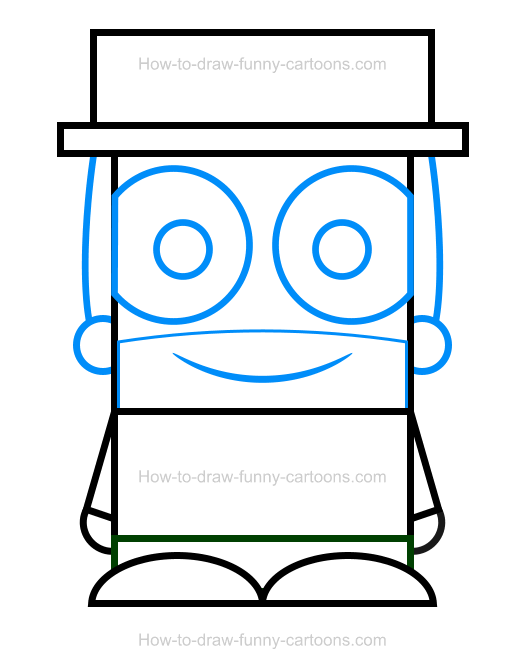 Then, you will have the opportunity to apply some colors and create a fun picture in just four easy steps. Ready? Let's start this lesson now! 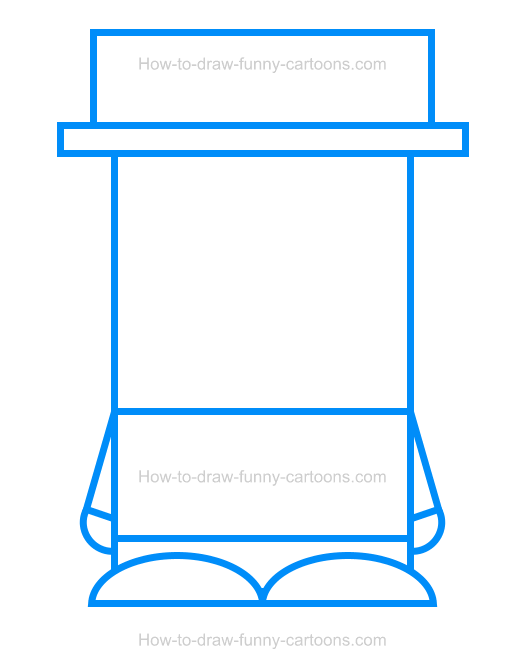 First, you can draw a large rectangle to form the head. It's always easier to start with this part of the body instead of drawing the body or the legs to begin with. 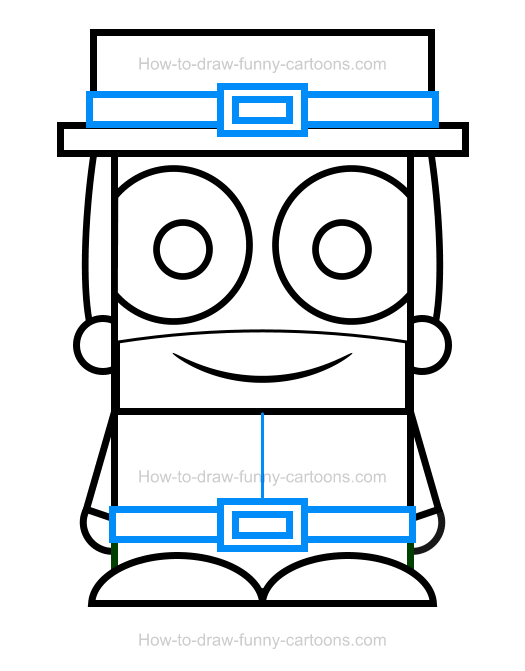 Then, add a large and thin rectangle on top of the head to create the first part of the hat. Complete the hat by adding another rectangle (but thicker and shorter). When you are finished, you can illustrate the body using another rectangle. The legs are also made from a small rectangle. Use a couple of straight lines to create the arms. Finally, complete this step by adding circles to represent the hands and curved lines to form the feet. Cool! It's now time to work on the face of the character. You can start by drawing the eyes, the pupils and the ears using a few circular shapes. The mouth and the beard are created from curved lines. That's it for this second step! 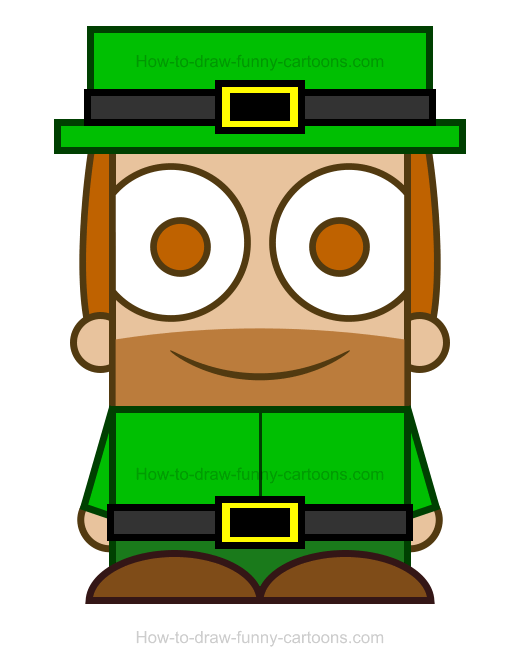 So far the character looks nice, but he doesn't really look like an Irish character. To correct this, let's draw a belt on the stomach using a large rectangle and two smaller ones in the middle of the object. Repeat the same steps to create another belt on the hat. Finally, a long vertical line is added in the middle of the shirt. That's it for the drawing aspect of this cartoon lesson. It's now time to add some colors inside the illustration. Of course, you will need a lot of green! Especially inside the hat, the shirt and the pants. The belt is colored in black and yellow. Finally, the hair, the shoes and the pupils are filled with a brown color.